Having the proper equipment in your shop will improve efficiency, accuracy, and consistency, resulting in higher quality work completed in a shorter amount of time. 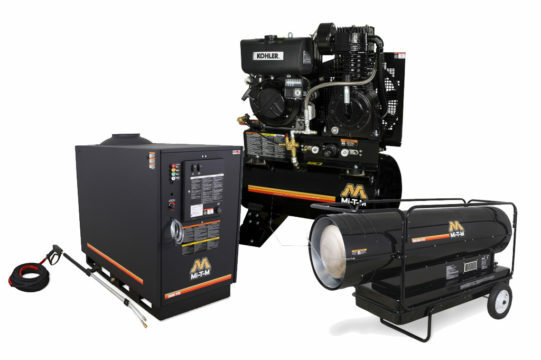 Mi-T-M is the industry leading manufacturer of pressure washers, air compressors, portable heaters, and generators. Their latest products include diesel powered air compressors and 3000 Watt Inverter Generators. Innovative Tools & Technologies has dedicated its resources to helping customers be more efficient, productive, and profitable, with its uniquely designed and virtually indestructible work and parts management systems build around solving common problems found in body shops. 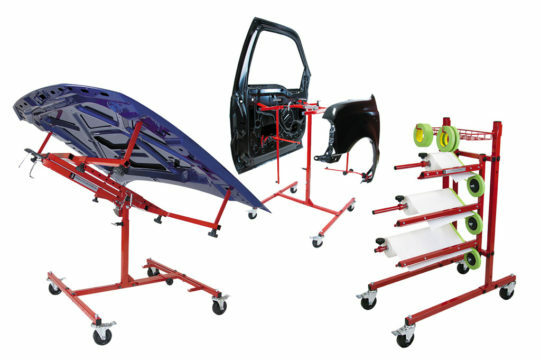 Questions About Equipment for Your Body Shop? Contact Us Using the Form Below. Located in Independence, Missouri, Auto Color & Equipment has been serving the Kansas City area since 1983. With over 100 years of combined professional experience, our staff is prepared to assist you with any questions you may have. Auto Color & Equipment © 2019.